Granite, travertine, sandstone or marble are traditional materials used for facing the elevations of buildings with the highest esthetical requirements. Classical assembly of such materials is “anchor” system. The anchor made of stainless steel is fixed in a wall hole filled with quick-drying cement mortar. The anchor is finished with perpendicular pin with diameter of 4 to 10mm. This pin is fixed in a hole drilled in board edge up to 40 mm depth. 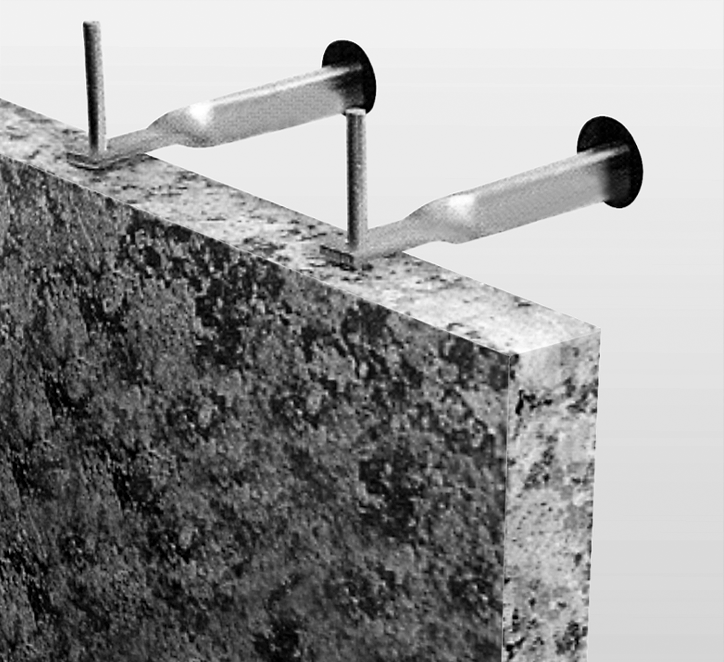 The anchors can be placed in horizontal or vertical joint. Anchor type depends on board thickness, its dimensions, height of fixing, quality of main wall and distance between board and main wall. Anchor fixing enables execution of warmed ventilated elevation.